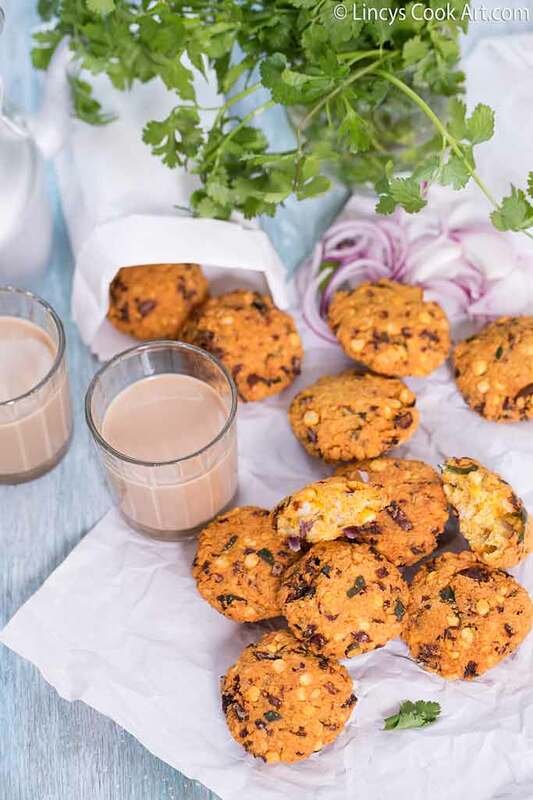 Masala Vada| Lentil Fritters is a traditional snack item generally served at teatime very much popular in South India. 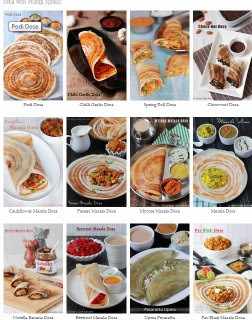 It is also a popular street food found in all petty tea shops, railway stations, parks..etc. I like paruppu vadai than Ulunthu Vadai|Medhu Vadai because of its crunchiness. 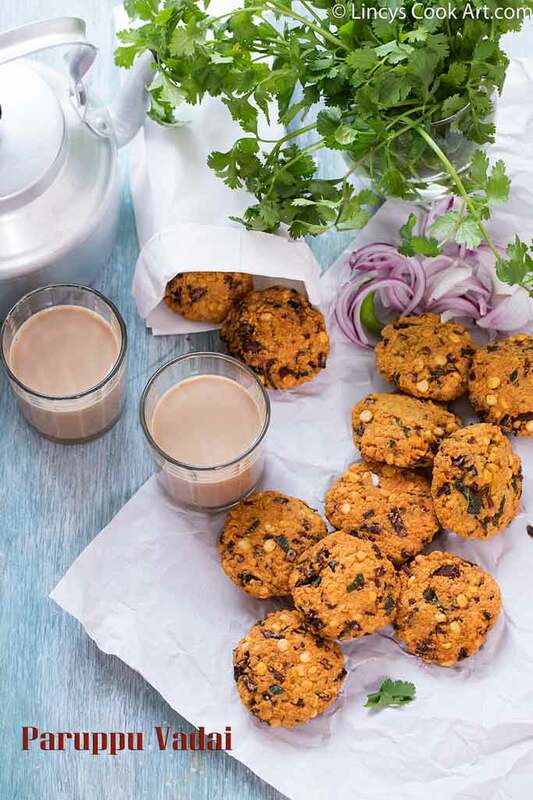 I have tried many healthy variations in this snack by adding different veggies, herbs, greens, oats such as Methi Masala Vadai, Beetroot Masala Vadai, Oats Masala Vadai, Keerai Vadai, Mint Masala Vadai. Perfect evening snack liked from old to new generation. 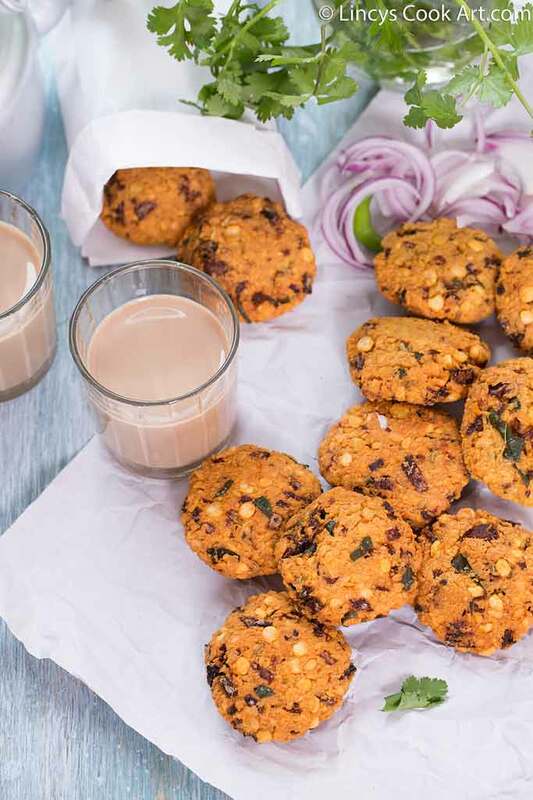 Tasty crunchy filling snack with a cup of hot tea. Soak chana dal with dry red chillies in water for 2 hours. Meanwhile chop the onion, green chillies, ginger and curry leaves. 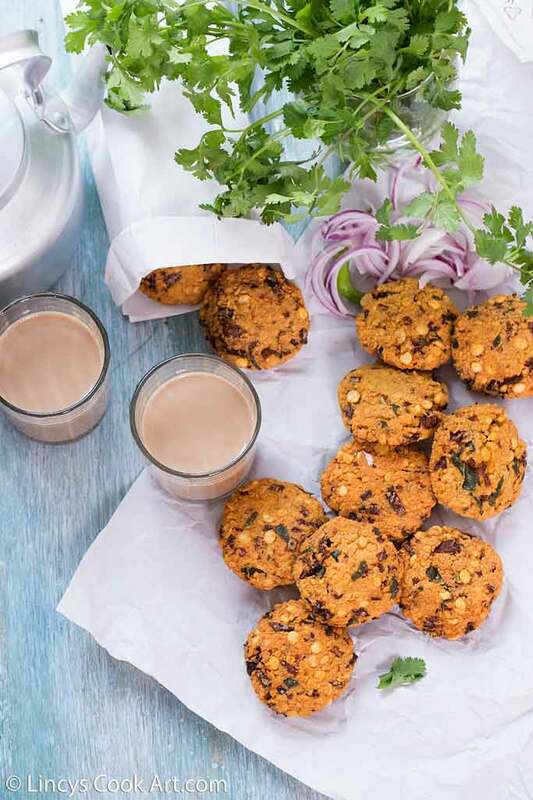 Shape vadas using your left hand palm and right hand fingers.